Libby Purves meets silversmith Jocelyn Burton, biographer Michael Holroyd, Strictly Come Dancing judge Bruno Tonioli and memory champion Jonathan Hancock. 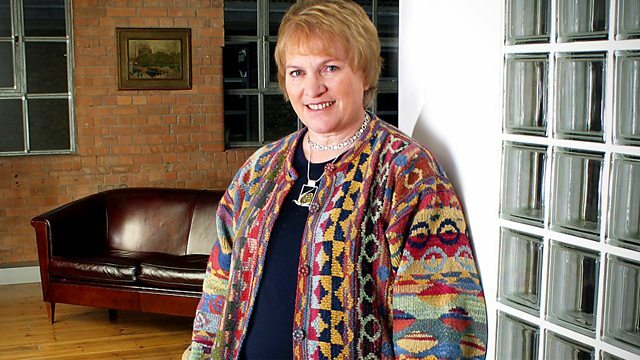 Libby Purves meets silversmith Jocelyn Burton; biographer Michael Holroyd; Strictly Come Dancing judge Bruno Tonioli and memory champion Jonathan Hancock. Jocelyn Burton is an award-winning silversmith, known for her witty and often maverick pieces. She was the first woman to become a freeman of the Worshipful Company of Goldsmiths and to win the Prince Philip City & Guilds Medal for silversmithing. She is currently celebrating 40 years of her work in an exhibition, 'The Art of Silver,' at the Royal jewellers Bentley & Skinner. Michael Holroyd is the acclaimed biographer of George Bernard Shaw and Lytton Strachey. In his book, 'On Wheels', he traces his relationship with cars through a lifetime of biography. 'On Wheels - Five Easy Pieces' is published by Chatto & Windus. Bruno Tonioli is a dancer-turned-choreographer and TV personality. He is best known as a judge on the BBC's Strictly Come Dancing, and its US version, Dancing With the Stars. In his autobiography, 'My Story', he tells how he escaped the confines of his upbringing in Northern Italy to follow his dreams. 'My Story' is published by Headline. Jonathan Hancock is a primary school teacher and a former World Memory Champion. He devised the National Junior Memory Championships in association with the Learning Schools Foundation. The competition, which takes place next March, uses memory techniques as an aid to learning. He is also the author of several books including 'Brilliant Memory Training'.